PST: Talent Show 2015 -Open to Grades 7-10 as well!! Talent Show 2015 -Open to Grades 7-10 as well!! After special requests from the teachers, the PST has decided to have the Talent show open to the Secondary School as well. So grades 7-10 please read below to see details on how to submit your talent video. 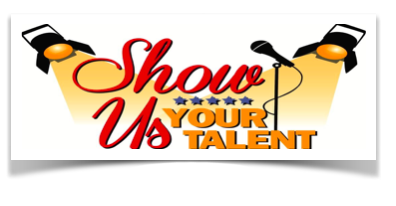 The Parent Support Team (PST) will be hosting Abraar School’s 2015 Talent Show. This event aims to showcase the talents of the Abraar community. In previous years, the Talent Show has been a great success enjoyed by all and we hope to see many more Abraarians take part this year. Participants: All of Abraar Students, staff and even the Principal! YOU can perform any talent you have. For example: Nasheed Performances, Spoken Words, Martial Arts, Acting Performances, Comedy, Poetry, Juggling, Magic Show etc. Please keep in mind that all performances need to adhere to Islamic behavior and values. This year auditions will be held through electronic submission only. Please fill out the form below and upload your performance video. Auditions should be between 2-5 minutes long. 15 performers will be selected to perform on the Abraar School Stage on April 28, 2015. (For Grade 5&6 only): You can also audition to be one of the MCs for the show. If you think you have what it takes, grab a friend and send in your audition video. All electronic submissions will be kept private and disposed off after the selection process. DON’T FORGET SUBMISSION DEADLINE IS APRIL 7, 2015 @ 12:00 p.m.
Auditions will be viewed and judged by our 3-member judging panel. All acts will be scored according to several criteria and the scores tallied for selection. All those selected should agree to attend rehearsals at Abraar School (70 Fieldrow location) on Saturday, April 18, 2015 / between 12:00pm - 3:00pm. Please e-mail any inquiries to pstabraar@gmail.com with the subject “Talent Show”. We look forward to your participation and enthusiasm!